Our product range includes a wide range of High speed steel (HSS) Drilling Tools such as HSS Cutting Drill, HSS Reamers, HSS Drills, HSS Drilling Taps and HSS Tool Bits. These are used in various applications and are made from high quality material. We are majorly looking for queries from Middle East & Africa. We are engaged in offering a wide range of High Speed Steel Drills to our clients. These are manufactured as per the clients' specifications. 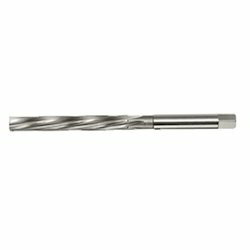 These HSS Drills are made up of high speed steel and are dimensionally accurate and strictly conforms to the international quality standards. These are manufactured using high quality raw material and are widely demanded for their quality and durability. We are majorly looking for queries from Middle East & Africa. 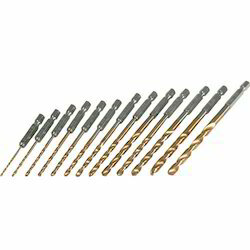 We are counted amongst renowned manufacturers of High Speed Steel Carbide Reamers. These are fabricated by our team of experts using high quality material. Our wide range of High Speed Steel Carbide Reamers are highly appreciated by our clients all across the globe due to its vast features. We are majorly looking for queries from Middle East & Africa. 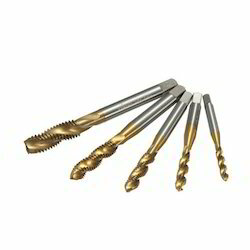 We are a coveted firm involved in offering a wide range of High Speed Steel Drilling Taps. These HSS Taps are made up of high speed steel that are most suitable for general machine tapping operations and a wide variety of materials. We are majorly looking for queries from Middle East & Africa. Looking for HSS Drilling Tools ?